We’re happy that you’ve chosen Eaton Dental Centre. We offer a full range of dental services suitable for your entire family’s needs. We’re ready to help you achieve your dental health goals! Restore decaying, broken or stained teeth with high-quality crowns and bridges at Eaton Dental Centre. A crown restores your tooth by acting as a cap, covering the part you see above the gum line. It’s bonded in place using cement, and different materials are available depending on your situation. Bridges fill the gap of missing teeth, cemented to the natural teeth on either side. A range of materials is available based on what’s most appropriate for you. There are many benefits to both crowns and bridges. Read more. This removable device allows you to smile with confidence and enjoy a healthy diet. Made of acrylic resin, sometimes combined with various metals, dentures are available in full and partial forms. 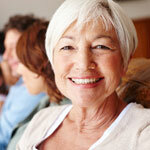 Full dentures replace all your teeth with a snug, comfortable fit. Partial dentures replace missing teeth, often supported by the remaining teeth. If your teeth need to be removed, we can fit you for dentures straightaway at Eaton Dental Centre. We’ll take the necessary measurements and impressions to ensure a custom fit. Healthy gums are essential to supporting your teeth and connective tissues. 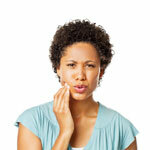 Teeth loss and damage to your overall wellbeing can result if gum disease is left untreated. At Eaton Dental Centre, we’ll help you stop gingivitis in its tracks or reverse the more advanced forms of gum disease called periodontitis. The infection can spread deeper into the teeth if left untreated, making it vital that you get the prompt attention you need. It’s possible that you don’t have any warning signs of gum disease, making your regular check-ups with the Eaton Dental Centre team essential. Read more. At Eaton Dental Centre, our team take every possible step to save your teeth and protect your smile for life. Root canal treatment may save your tooth from extraction when it’s been subject to decay, disease or injury, damaging the root canal. 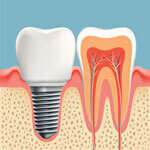 This option treats the interior structure to restore the health of the tooth. Also known as endodontic treatment, this procedure may take place over several appointments depending on the complexity of your condition. 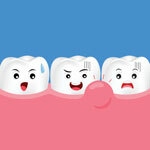 A filling or crown may be necessary afterwards to restore the original shape and function of your tooth. Single patient rotary and hand files are utilised so that there isn’t any risk of cross infection. Read more. A custom-fitted mouthguard from Eaton Dental Centre can prevent you from experiencing broken, chipped, or knocked-out teeth and the laceration of your tongue or gums during sport. Sporting accidents are a common cause of dental injury but are easily minimised with these comfortable devices. They’re appropriate for boxing, football, rugby, gymnastics, skating and more. Over-the-counter options don’t offer the superior level of protection as the mouthguards fitted at our practice. They allow you to breathe and speak freely and are available in different colours. Read more. If your tooth is damaged and needs to be removed, the gentle, caring team at Eaton Dental Centre can help. An extraction should be performed as soon as possible to prevent the infection from spreading. No other treatment can cure the problem, and local or general anaesthetic are available to ensure your comfort. We’ll be happy to advise you on your recovery for the best results. Read more. Get the whiter, brighter smile you want at Eaton Dental Centre. 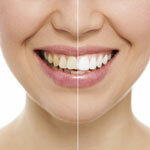 Our teeth whitening specialists provide safe, long-lasting whitening solutions. During your first appointment, we will go over your options, what is involved, the results you can expect and a cost estimate. Both in-chair and take-home options are available. A take-home kit consists of custom-created trays moulded to your teeth and a unique whitening gel. The in-chair service is completed in just a single appointment for dazzling results. Read more. Keeping your teeth gleaming clean and healthy starts with practicing several oral habits each day. These include brushing your teeth and tongue several times a day with fluoride toothpaste and flossing at least once a day. We also recommend that you come and see us for regular preventative check-ups. 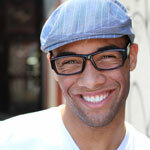 Doing so can ensure that your teeth and gums stay healthy. By maintaining your oral health, you also may prevent other health issues such as heart disease, cancer and osteoporosis. Read more. We want to help you smile brilliantly and achieve superb oral health with our range of comprehensive services. Eaton Dental Centre offers same-day dentistry and convenient Saturday appointments. Contact us today to book your time!